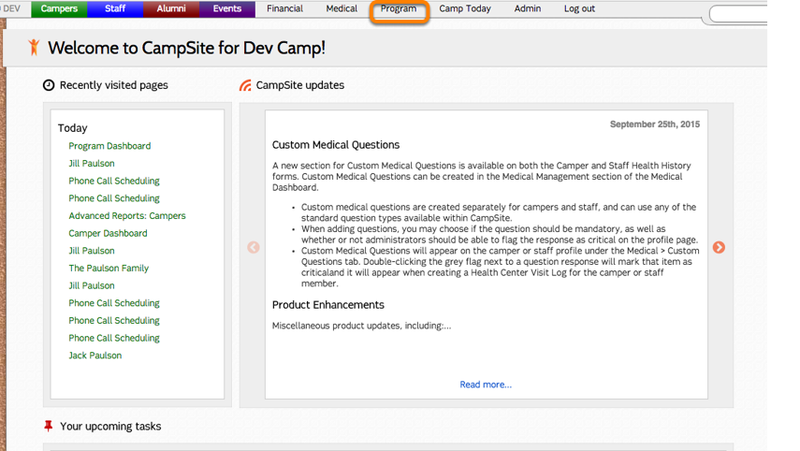 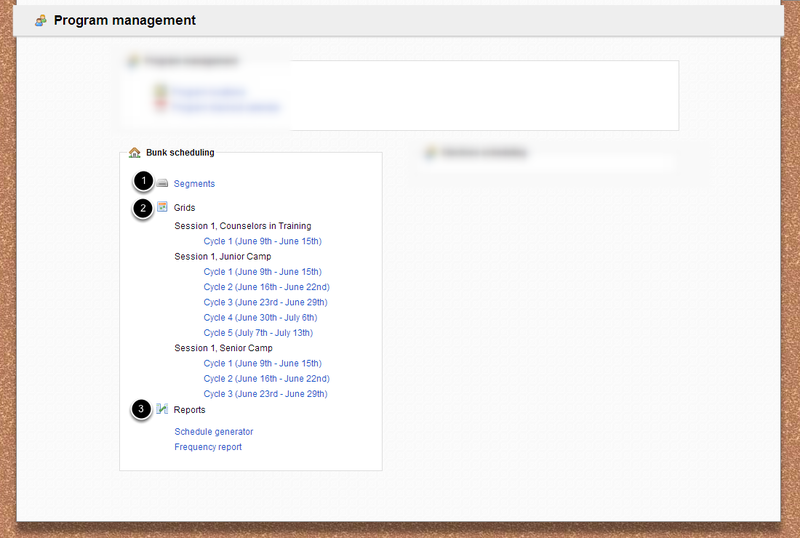 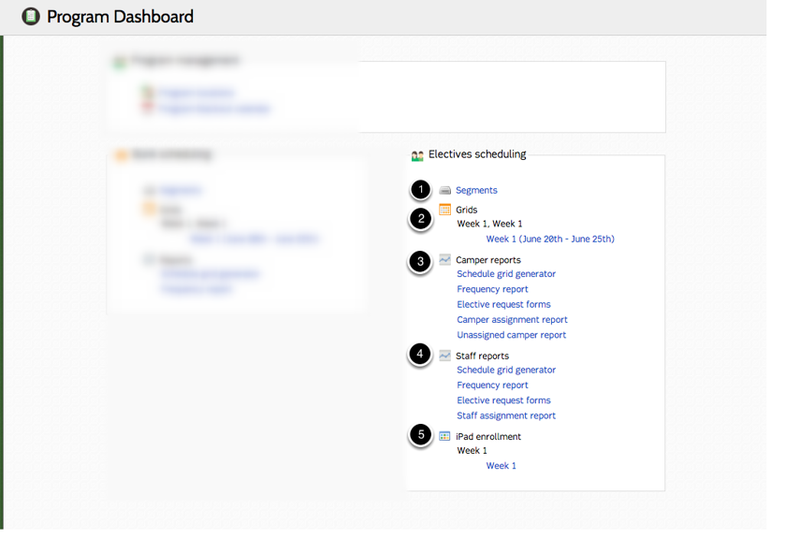 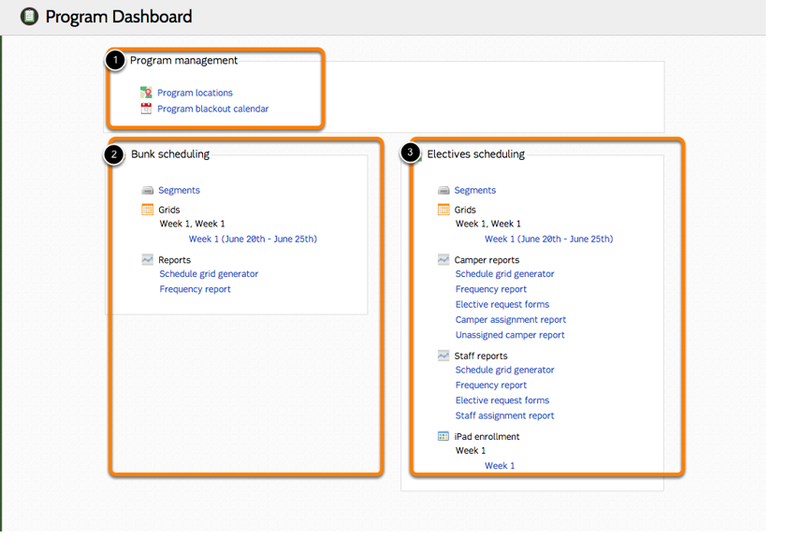 The Program Dashboard Page is where you will manage everything related to your camp's Program. This includes basic Program Management, Bunk Scheduling and Elective Scheduling. 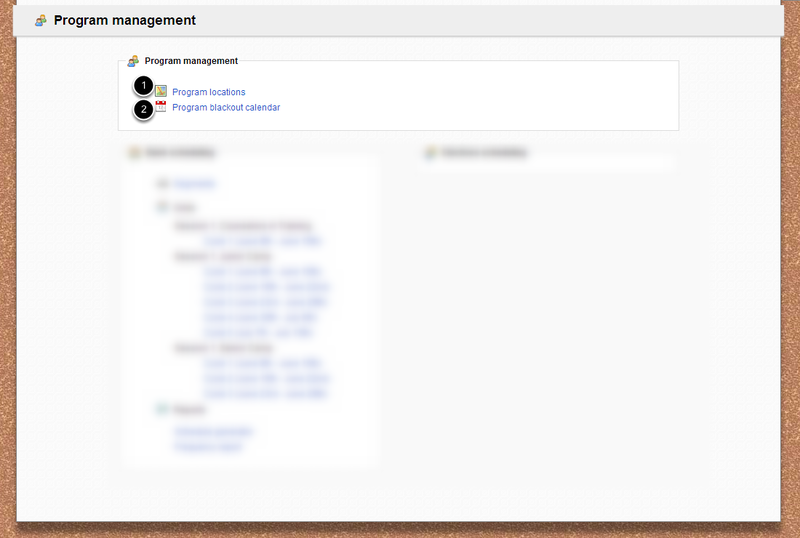 To access the Program Dashboard Page, click Program in the the header bar.